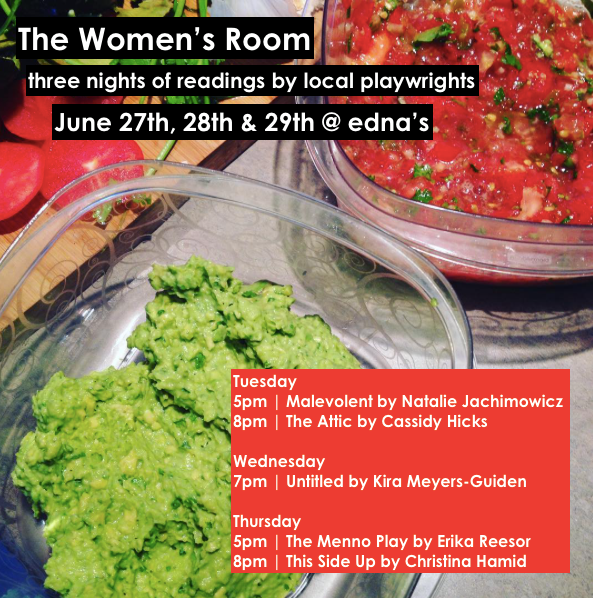 The first readings from The Women’s Room are presented at edna’s (159 Frederick St. Kitchener) on June 27th, 28th, and 29th. Open to the public, these readings are PWYC! 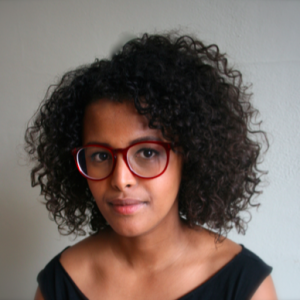 Intisar Awisse is a writer and editor living in Waterloo, ON. She studied english and publishing and is now a freelance editor working for various publishers. Currently, she is working on a play, A Night in Beledweyne, about the failed Canadian peacekeeping mission to Somalia in 1993. When she’s not editing books or writing plays, Intisar spends her time with her young son, building entire worlds out of blocks. Zara must travel to her ancestral home to collect her father’s remains. The only person standing in her way is Rue, a stranger who makes demands Zara can’t possibly meet. 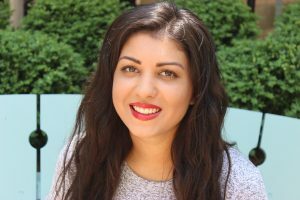 Christina Hamid graduated from York University with a Bachelor of Arts Honours degree where she studied Theatre and Playwriting. She then went on to complete her Bachelor of Education degree at Western University, where she specialized in English and Drama. Christina has also interned at The Playwright’s Guild of Canada. She is currently pursuing a career in teaching and playwriting. One of her original plays has been short listed for the Wildfire Playwriting Competition in Calgary. Christina has taught dance classes for nine years and is trained in Jazz, Ballet and Tap. She is currently working as a background actor for movies and television shows. 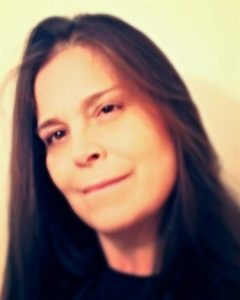 Christina writes and directs children’s theatre for The Milton Centre for the Arts, her play The Curious Case of The 18 Witnesses was staged in March 2017 and she is currently writing two plays for their summer program. Two roommates throw an office party at their house. When one of the female guests gets killed shortly after leaving the party, both roommates feel responsible for her death. What will happen when the doorbell rings and the ghost of the woman they killed returns to their house? 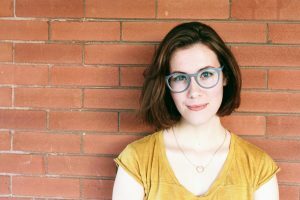 Cassidy Hicks is a feminist playwright and actor currently living and working in London, ON. She is a founding member of OPIA Theatre Collective (www.opiatheatrecollective.ca), a new company focused on the development of new Canadian feminist work. 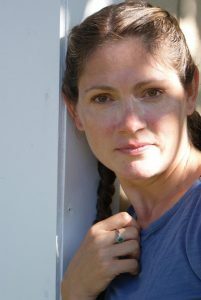 Following her training at the University of Windsor, Cassidy has had three of her plays produced including Fish Wish (Flush Ink Productions), Fermata (Purple Theatre & OPIA Theatre Collective), and Widow’s Wedding Dress (OPIA Theatre Collective), for which she received the 2016 Brickenden Award for Outstanding Original Script. Currently, Cassidy is the producer for OPIA’s upcoming project, Dark Crop, Ontario’s first annual nocturnal performance festival. She loves pie, tattoos, and reading a good play, in no particular order, but preferably all at once. It’s not up to us what parts of our childhood grab the hems of our dresses and ride into adulthood. The Attic is about the girls who grow up, and the girls who don’t. 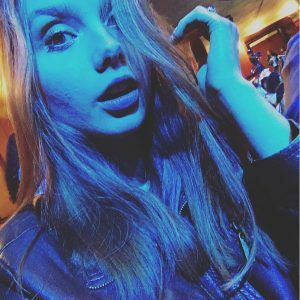 Natalie Jachimowicz is an aspiring playwright and writer. She is currently going into her fourth year at the University of Guelph majoring in Theatre Studies, minoring in English and Creative Writing. She’s studied under Sky Gilbert and Ed Roy for playwriting and acting. She is also trained in vocals and classical guitar. She has performed with the KW Youth Theatre in the production of The Elephant Man and has acted in many student run plays. She plans to expand her experiences while continuing her education and learning more about theatre work outside of school, like in the fantastic and lovely playwriting troupe, The Women’s Room. Mother and daughter are struggling to cope with abuse. One copes with a slow death and the other copes with a new life. 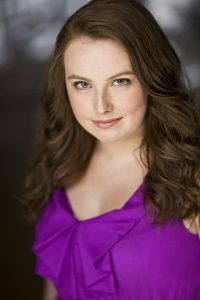 Kira Meyers-Guiden is a recent grad from University of Toronto and Sheridan Collegeʼs joint acting program. She is a queer feminist who believes that we can change the world through the expression of art. Recent acting credits include: Mina in Letting Go (West End Studio Theatre), Hetty in Overtones (Beck Festival), Mrs. Plumm in Uncommon Women and Others (Theatre Erindale), Juliet in Occupy Verona: Romeo and Juliet (Theatre Erindale). Recent writing and collaborative credits include: Futch/Bemme (Gay Play Day), The Massey Murder (Theatre Erindale). In addition to her writing and acting, Kira is also a proud fur-mom, YouTube enthusiast and barista extraordinaire. Catch her and Erika (fellow TWR creator)’s collaborative piece in Opia Theatre Collectiveʼs Dark Crop Festival Aug 5-6! As Sam is reeling from a death, she finds comfort in a stranger, Ingrid. This is a story about loss, the art of play, guilt and acceptance. Erika Reesor enjoys creating theatre that has its roots in feminism and social justice. Outside of The Women’s Room, Erika is very excited to develop Snow Queen with Opia Theatre Collective as part of their 2018 season. Elsa is struggling with her attraction to Miriam. How will this affect her marriage, her children and her faith? And how will the church respond to this situation? Jenn Weatherall is a mother, home daycare owner, a writer and an artist. Over the last couple of years she has come to understand that to be the best mother she can be she has to be a good ‘Jenn’ first, and exploring her artistic abilities is where she thrives the most. She has made a conscious decision to tell her stories, to put away her fear of redundancy and allow her creative energies to flow freely. The Women’s Room is a significant step for her in her artistic journey and she is extremely excited to see where it will lead her to next. Jenn has an art exhibit coming up in July and August at the Princess Odeon Gallery and a debut of her play The Sapling in the Dark Crop Performance Festival this August. A mother experiences a much needed release of emotions while washing the dishes for the umpteenth time.